Need to send food, medical supplies or vegetable products by sea, railway, car, airplane? For all types of traffic with long maintenance of the required temperature the most universal- refrigerated containers -practical, resistant to external aggressive environment, easy-to-use, reliable. In addition to transport perishable goods storage are used. 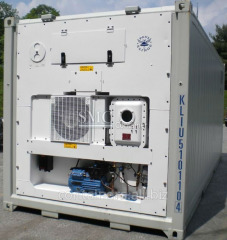 Buy a 40-foot container from our assortment of the best world brands-Carrier, Daikin, Thermoking! 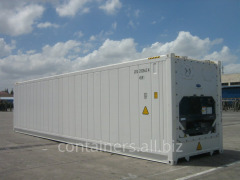 Along with the implementation of the 40 foot reefer containers -Super offers are available for rent or lease. During lease containers fully serviced by trained experts. Cooling equipment branded confidently holds the temperature range from-25 c to + 25ñ. 360-day warranty applies to nodes and aggregates of refrigerated containers. Technical state is proportional to the price of a 40 foot REF. containers. All refrigerated containers correspond to ISO 1496-2:2008, diagnosed, repaired, tested, PTI and received the certificate of conformity. Our trained staff they brought into alignment with the sanitary and hygienic standards. 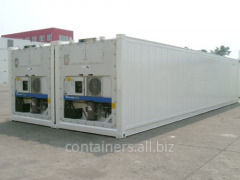 All 40-foot refrigerated containers 2000-2006 biennium. release. Refrigerated container decorated formal and transaction documents are transferred to the client in full. Practice sale on credit and repurchase. Throughout the period of operation of our technical specialists provide consulting support. Filing containers produced in any point of Ukraine, Moldova, Belarus. a system of compensation for the cost of delivery and return of refrigerated containers. Flexible customer relationship model will not leave you indifferent! 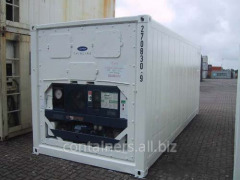 Unbelievable price on Reefer containers 40 ft 2000-2006 biennium. release in Kiev (Ukraine) company Kontejnery Ukrainy, OOO.